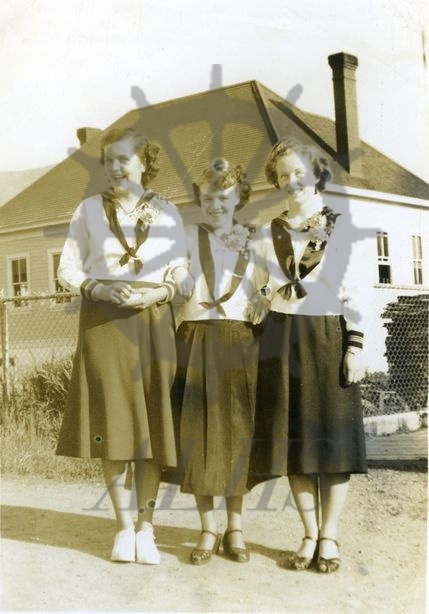 Canadian Girls in Training (CGIT) members posing in street, Nakusp, ca. 1950s. L-R: Lorraine Henke, Bea Brotherton, Joy Oxenham.